The Hins Cheung King Hin starred Emperor Motion Picture WE'RE THE WORLD (CHAN LAN JEH YUT HAK) will spread positive energy with a group of children. 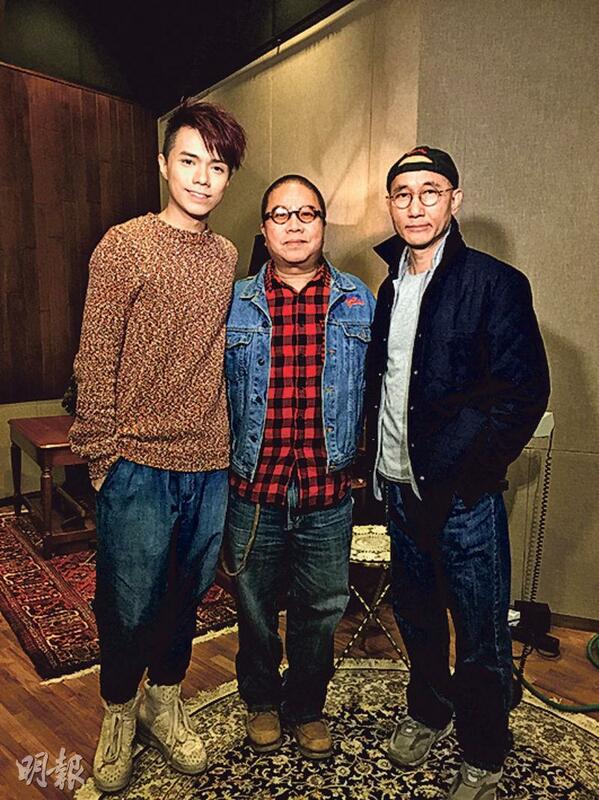 After the film production wrapped up, Hin Jai has been busy with the theme song A STEP A LOOK recording. Director Fruit Chan Gor even called in all the favors and asked Lowell Lo Koon Ting to create the music. The trio yesterday recorded together. Hin Jai saw the reporters and said that he was nervous. He also revealed that two days ago he suffered from severe insomnia. "It's the first time I work with Mr. Lo! I haven't had a producer for my song in a long time because I usually do it myself. Earlier I had the flu twice, the recording date was postponed time and again. Last night I went to bed at midnight, by 4AM I still wasn't asleep. So I went online to look up Mr. Lo's music!" Hin Jai "complained" that this theme song was not as romantic as he imagined. He immediately said to Lowell Lo, "When would you be able to write for me something as romantic as Lee Chi Ting (Aarif Rahman)'s ECHOES OF THE RAINBOW?" Lowell Lo said, "You will get the chance, let me finish my concerts first." He remembered to praise Hin Jai for being fully prepared. "He already knew a lot about things I talked to him about." In addition, speaking of his vehicle that a taxi crashed into, Hin Jai said that it took four or five days to repair. "Now it's just like new, finally I have a vehicle to use! (How much did it cost?) Over HK$ 5,000!"